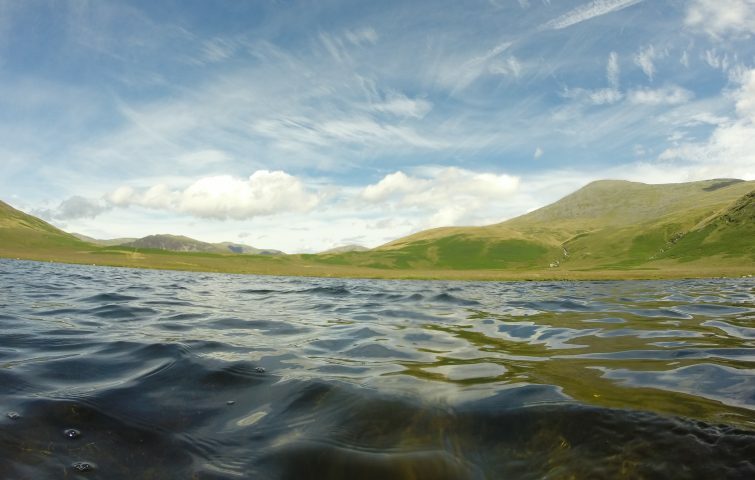 A women only wild swimming holiday in the Lake District! Eskdale, a dramatic valley in the western reaches of the Lake District, is both picturesque and awe-inspiring in its grandeur. The River Esk has carved out a truly remarkable landscape of towering peaks, rolling hills and stunning water features. We will take full advantage of the latter as we dip into remote tarns and beautiful river pools. On one day, we may head to Blea Tarn, nestled high up in a craggy hollow and then descend through the old mining landscape to Boot where there are pools and falls in the Beck. Perhaps we will also explore Lingcove Bridge, towards Upper Eskdale with its pristine (and chilly!) river pools filed with impressive sapphire water. And on another day, we may take the former coffin route with its far-reaching views over Wasdale, to Burnmoor Tarn. En route, we will pass another pretty shallow tarn where we can see shoals of fish darting in and out of plant fronds on the tarn bed. We will be based at the very comfortable Stanley House Hotel which can be accessed by the Ravensglass and Eskdale steam railway – an adventure in itself. Evening meals will be taken at a local pub (not included).